Brack Mountain Wine Company was founded in 2008 as a family owned and operated winery, producing a modest 500 cases annually, but has grown in recent years. The winery’s focus is small production, terroirdriven wines from small, interesting, preferably family owned vineyard sites across Sonoma County, Anderson Valley and Santa Lucia Highlands, offering a sense of place at accessible prices. All vineyards that the winery works with are 100% sustainably farmed and the viticulture protocols are closely maintained by vineyard manager Arturo Robledo. Brack Mountain’s founding winemaker is Dan Fitzgerald. A Northern California native, he lived in Europe for 13 years and developed an affinity for balanced, lower alcohol wines in the New World tradition. He began his winemaking career in 2002 in the Dry Creek Valley of Sonoma County, not far from Brack Mountain’s Enos Estate Vineyards. He worked back-to-back harvests in two hemispheres over three years before earning a Bachelor of Science degree in Enology from Fresno State University. 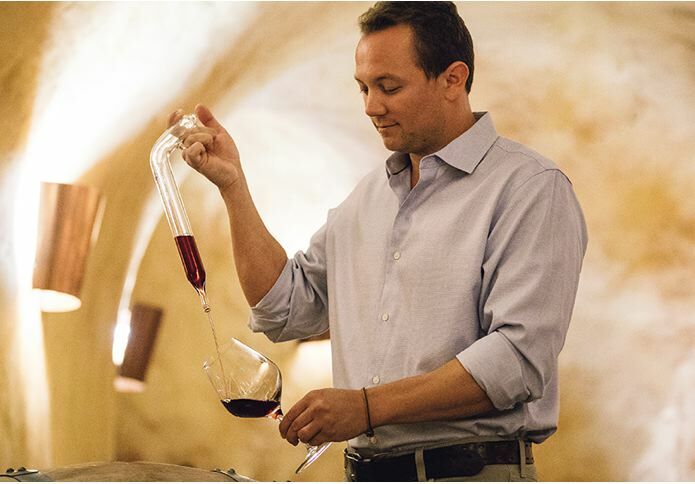 After graduation, he worked with winemaker Bob Cabral at Williams Selyem Winery as well as obtaining winemaking experience at James Halliday’s Coldstream Hills Winery in Australia’s Yarra Valley, and Robert Sinskey Vineyards in Napa Valley. Before joining Brack Mountain as Partner and Director of Winemaking, Dan was Head Winemaker at Pellegrini Family Vineyards in the Russian River Valley. Winemaking involves gravity-flow wine movement, feral primary and secondary fermentations, and minimal handling and movement of the wines. Stylistically, the goal is earlier pick dates and resultant lower alcohols, along with well-integrated barrel selections. The entire lineup of Pinot Noir wines offer solid quality and value, with four of the wines offered at reasonable prices.They are food-friendly wines that will perform beautifully at the table. 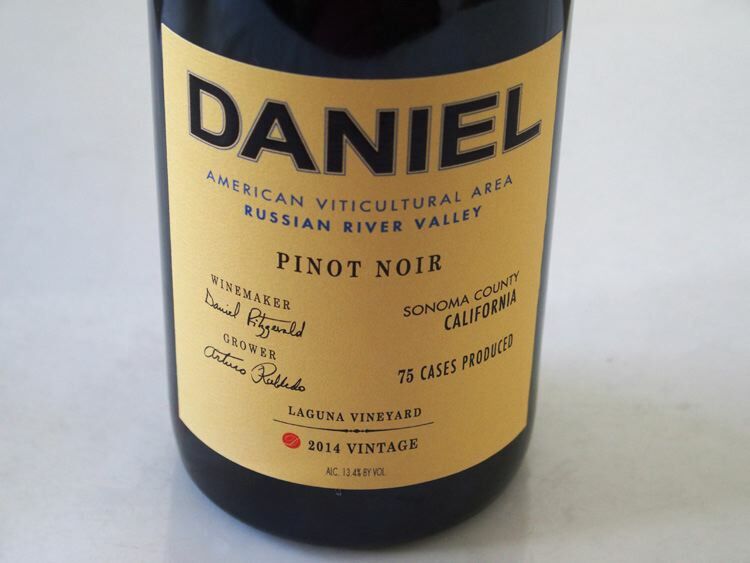 The Daniel label offers exceptional quality at an understandably higher price. Visit www.brackmountainwine.com. Pinot Noir is also offered under the Barrique and Matia labels. Kent has refined his winemaking over the past ten years, adding variety to his stylistic lineup. The 2014 wines I have reviewed here are among the best he has yet to release and that is saying something since I have reviewed almost every Pinot Noir Kent has produced. The wines are sold primarily through a mailing list with limited retail distribution. Visit www.erickentwines.com. Veteran winemaker Norm Yost is one of the original garagistes operating out of the Lompoc “wine ghetto.” He produces ultra premium, small lots of Pinot Noir and sparkling wine from vineyards in Santa Barbara County and San Luis Obispo County. The name of the winery bears explanation. While living in Oregon, Norm had trouble keeping the wild blackberry vines in his backyard under control before a friend suggested he acquire a pair of goats to fend off the vines. Norm bought two pygmy goats named “Never” and “Epernay,” and in short order found they not only ate the blackberry vines, they ate everything. They were also a source of comical entertainment with their spiral loops, flipper turns and straight-legged leaps. When Yost moved to California’s south Central Coast, he started an unnamed winery. He agonized over a name that would reflect the quality of his wines as well as avoid the stuffy attitude adopted by many wine producers, so he decided to name his new project after his kids. 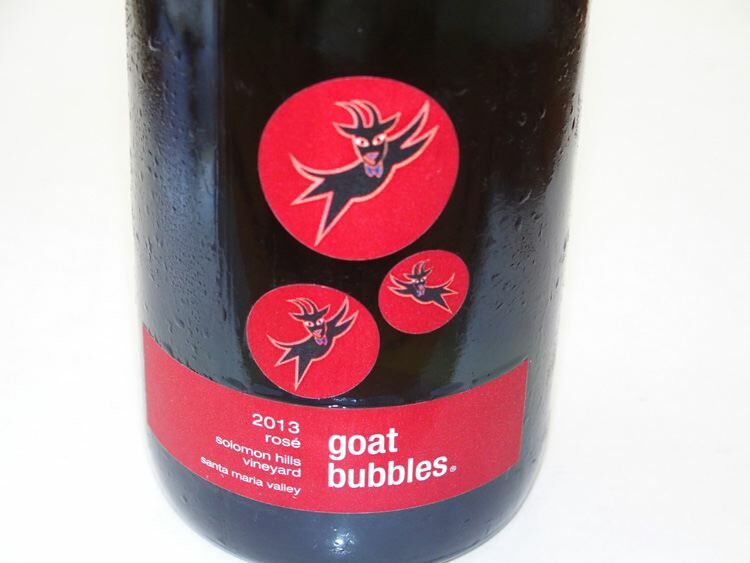 In this case, his “kids” were his two goats he brought with him from Oregon, and the name Flying Goat Cellars was chosen. 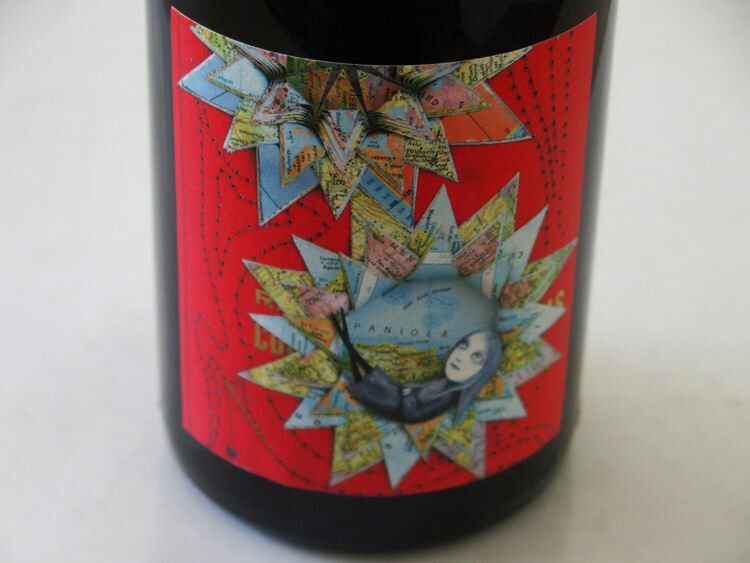 The Flying goat label is a whimsical rendering of a horned goat flying over a moonlit mountainside surrounded by a crescent moon with six stars twinkling amidst a red and black checkered border. The labels have never changed. 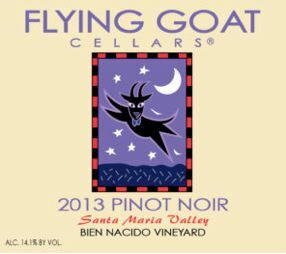 Flying Goat Cellars Pinot Noir may seem a bit whimsical, but the wines are seriously outstanding unencumbered by pretense. They are known to be quite drinkable upon release, yet age magnificently. Many of Norm’s vineyard sources have been long standing so he has an experienced feel in how to best vinify the fruit from these sites. Taste for yourself at the Flying Goat Cellars Tasting Room in the Lompoc Wine Ghetto, Thursday through Monday, or other days by appointment. Visit www.flyinggoatcellars.com. 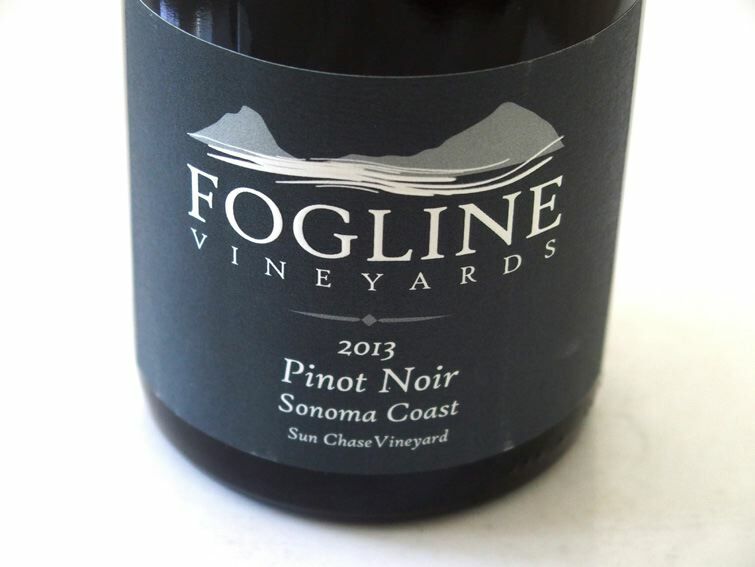 Partners Brent Bessire and Evan Pontoriero launched Fogline Vineyards in 2009 to produce small lots of Pinot Noir, Zinfandel, Syrah and Chardonnay. The cool-climate Fogline Home Vineyard is at the top of Sonoma Mountain at 900 feet elevation in the Petaluma Gap region and is planted to Pinot Noir and Chardonnay. 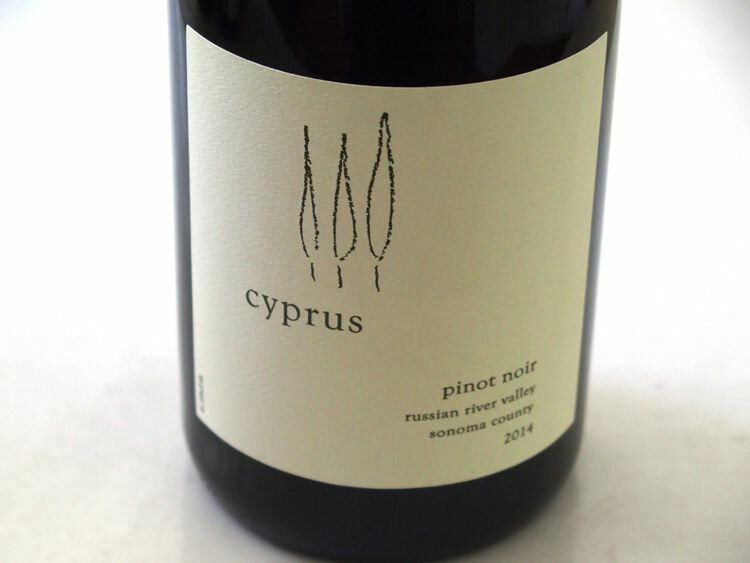 The Pinot Noir is a field blended block composed of Mt. Eden, 115 and Pommard clones. Chardonnay is Dijon 76 and Old Wente clone. Pinot Noir is also sourced from Starscape Vineyard (formerly Floodgate Vineyard) in the Russian River Valley and Sun Chase Vineyard in the Petaluma Gap region of the Sonoma Coast. A winery and tasting room is located on River Road in Fulton across the street from where the original Williams Seleym garage winery was located. The Fogline Vineyards building has a long history of winemaking in the Russian River Valley. Check with the winery regarding tasting room hours. Visit www.foglinevineyards.com. Founder and winemaker Vaughn Duffy was a wine salesperson when he fell in love with Pinot Noir. He worked a harvest at Siduri and launched his professional winemaking career at Vinify, a custom crush winery. 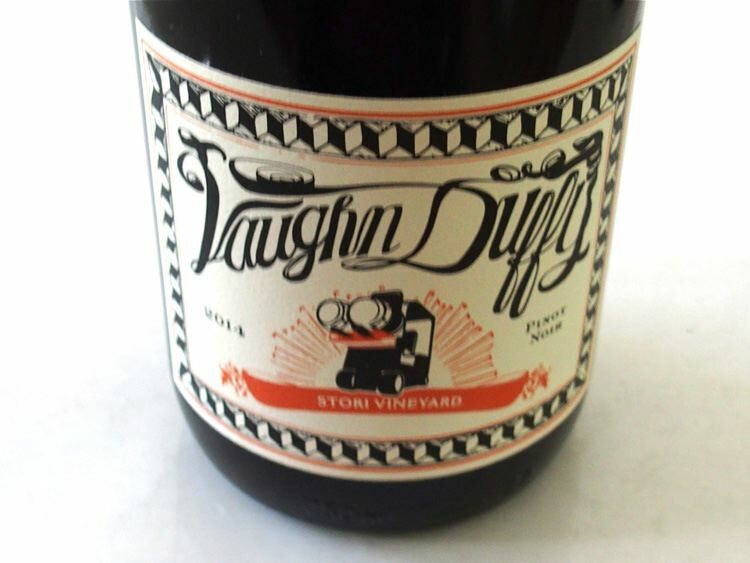 In 2009, together with his spouse, Sarah Vaughn, bought one ton of Pinot Noir grapes and made their first wine under the Vaughn Duffy Wines label. Another story of first-generation winemaking families taking the plunge. Tastings are available by appointment in Santa Rosa. If I had to relate the style of the Pinot Noirs, I would say they are very close to Kosta Browne. Visit www.vaughnduffywines.com. One added note regarding the label and the orange wax capsule on the bottle. I told Matt that some people love it and others find it weird. He told me the following. 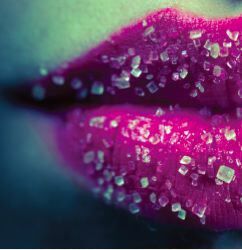 "Ahhh, the label… Yes, we have found that some (most) people dig it and some do not. I feel like the response is mostly positive, or at least inquisitive. When I worked at a bottle shop, I learned the importance of getting the bottle to standout and that if the customer picked up the bottle, they usually bought it… So what better to grab attention than a funky label with bright orange wax on top? The label depicts a forklift carrying two barrels of wine. The forklift represents where I was when we made our first wine: working as a cellar rat, driving the forklift around the winery where I worked to make things go, go, go… The two barrels represent our first vintage: 2009 Pinot Noir from Suacci Vineyard. The forklift is also a symbol of the hard work behind the scenes that it takes to make these wonderful wines. As for the rest of the label and the “feeling,” let’s just say that Sara and I are big San Francisco Giants fans and we used to go a lot of shows at the Fillmore when we first met in San Francisco. All those old concert posters must have rubbed off on us."